C&FLeave a Comment on Groove In With MuveAcoustics : Acoustic Accessories by Virat Kohli! 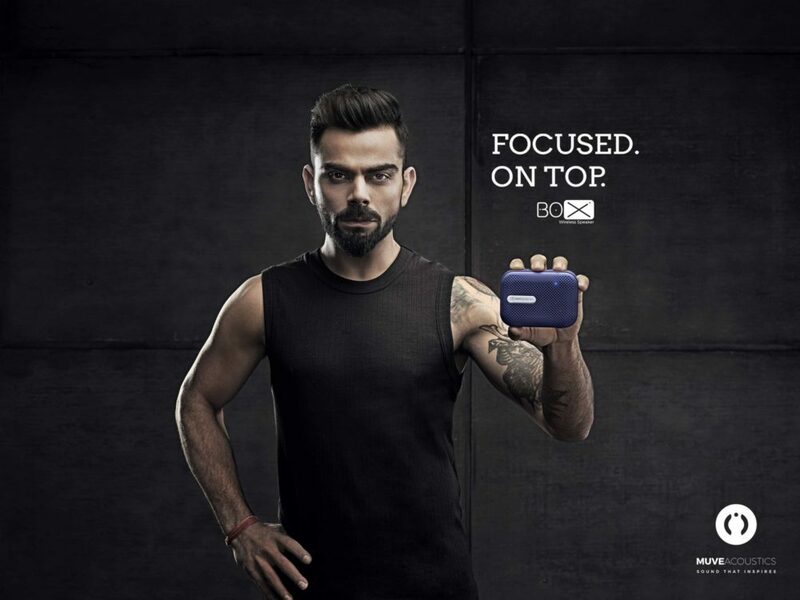 After flooding the menswear industry with his signature brand WROGN, Virat Kohli has now come up with his music accessories brand – MuveAcoustics, something that ticks your music flavor right by streaming out the urban mumbo jumbo and fixating you with your daily dose of music and brass thumping needs. Treating music as the constant companion of our lives, MuveAcoustics brings in a range of stellar music accessories that plays as an aid to the rhythm of your beats and daily needs. With a brand value estimated to be around 616 crores, Virat Kohli has made some serious business investment wherein his ventures have been applauded by market analysts and his fan base alike. Be it Super League’s FC Goa or a WROGN venture for urbane men’s apparel, Sport Convo and Chisel, Gym and Fitness Center in his baggage of investments, he has taken up another undertaking – MuveAcoustics. MuveAcoustics places in a perfect blend of fusion and style to its user base who looks up for something seamless and uniquely different. Changing the way one experiences sound and crafts up a personal experience that is a league apart, it’s turning heads and tuning in more enthusiasts with a taste for something more. Yes, his MuveAcoustics will definitely leave you grooving with its variety of high-class products on offer. The current products in the inventory of Muve Acoustics include high-end headphones, classy earphones and chic speakers. With collapsible and detachable cable with microphone and a secure fit backed by powerful drivers, these headphones make you feel every beat’s amplified version and is sure to take you to another world. No doubt, it’s a perfect fit with your devices. Ergonomic design that provides a perfect fit with rich sound experience and a deep bass. Enjoy its full range of functioning with integrated microphones and playback control along with passive noise isolation. The perfect music match that you have been searching for, this one is in quite the demand among youngsters who find the design quite compelling and trendy to go with. This is something that will really help in bringing out your stylish side! MuveAcoustics-Spark-In-Ear-Headphones-Headset-with-Mic-Superior-BassA sound quality that exceeds your expectations at times. Covering all the notes and undertones in the correct symphony and hence something that makes it trendy and must have. Engineered for delivering a peak performance at any volume with its inbuilt sound reduction technology you can tune out the world and enjoy your symphonic escape. Definitely an experience you shouldn’t miss! A white beauty that’d surely add quite the charm to your acoustic accessories provided with the best of sound quality and upgraded features that creates an entirely new acoustic experience. This is truly a beauty with brains and you should not miss using it at least once! The Royal blue colour adds in the visual charm. Talk about its features and you have the best of acoustic accessories in hand. Wireless music experience trough Bluetooth streaming and a user-friendly durable body that has a rechargeable battery and integrated rotary with water resistance. A sturdy finesses of pre-balanced customization. A must-have in your collection of music picks! Enriched audio experience with a compact body and industry grade nylon strap is what these Bluetooth speakers bring along. With Bluetooth and AUX-in connection available, it has a rechargeable battery with a 7-hour playtime. Music lovers you ought to go for it! A wireless rich audio experience that helps you freely indulge in music and tune out the rest of the world though you are ‘on speaker’. 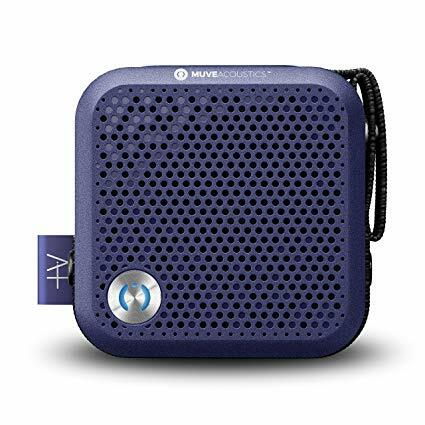 These portable wireless speakers are just what you need to get the beat and set up the rhythm. Time to set your notes high people! Mr.Kohli made it very clear that he isn’t into promoting brands and products that he doesn’t consume or believe in. Thus, he has ventured into products and fields that he can create a clear association with, be it men’s apparel or a football team, something along the fitness arena or music – what he can associate himself with. Where WROGN is all about having different perspectives, letting it go wild and free and picking up a fetish and naming it as style, MuveAcoustics stresses on creating the need for something exquisite – a taste. With sounds that inspire their customers and user base, MuveAcoustics believes in evolving with time and thus creating a niche of its own in the market. Evoke, Impulse, and Ignite – the headphone brands endorsed are all about creating a sensation and hence leaving the customer with a rich taste. With majestic colour options and funky trendy mumbo-jumbos, these products believe in delivering something relatable to one and all. Drive and Spark are the major earphones promoted by the brand that ignite a thirst for some bass and melody in you. Without a doubt, it’s all in the name! Box, A – Plus and A – Star: These speakers create an experience so lavish that makes you spoilt for choice. Summing up this, it’s all about making WRONG choices and setting your acoustics on MUVE. So when are you MUVE-ing in with your WRONG choices! It’s time to set the BEATS high!